Many people have experienced the heartbreaking realization at an airport baggage claim that their luggage is no where to be found. 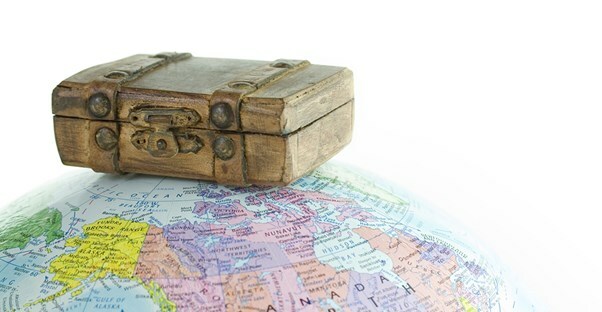 Whether the luggage was misplaced or left on a previous connection, the airline can do little at that moment to offer you an explanation for where your luggage currently is. The most common remedy was to leave contact information with the airline and to wait for them to contact you after finding your bags, assuming they found the bags at all. Thankfully, new high-tech gadgets are solving this most dreaded problem of international and frequent fliers. GPS luggage trackers can allow you to pinpoint your lost baggage in the event that an airline misplaces them. You can even teach the airline a thing or two, and retrieve your back more quickly in the process. Trackdot Luggage Tracker functions anywhere with cellular phone service and sends you a text message or email when it lands, letting you know where your luggage has arrived. Hopefully, that is the same place you have just arrived. LugLoc by Genius Pack tracks luggage through the GSM system. An app by the same name can be downloaded to your iOS or Android device, allowing you to track your luggage with your phone. The PocketFinder Luggage Tracker also utilizes an app for tracking, and has other features that make it useful for tracking and managing children when not in use for luggage. Although not designed specifically for luggage, Spot Trace Anti-Theft Tracker is similar to the luggage trackers listed above. Different from a lugagge tracker, DynoTag makes several variations of luggage tags embedded with Web/GPS code. These function similar to the way a microchip helps a lost pet to be found: a human needs to find the bag and choose to scan the tag. The benefit is that this product does not require batteries. It could be used alone, or in conjunction with an actual tracker for added security. Whichever one you end up deciding upon, the odds of retrieving a lost bag will be much higher with any of these products in the event your bag is lost as opposed to not utilizing this high-tech assistance..